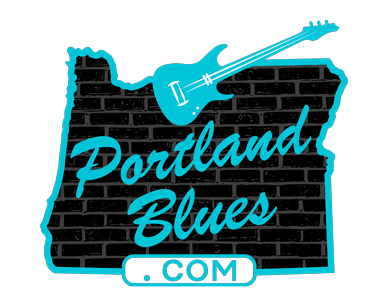 With the band’s success at the International Blues Challenge, where Rae Gordon & The Backseat Drivers captured third place overall, the focus of the moment was to come back home and put together a new recording that would showcase the talents of the band and help propel their career forward. 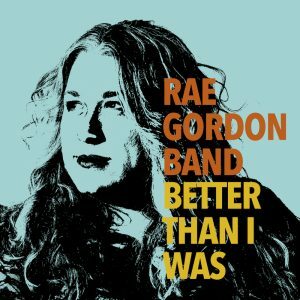 Reverting back to the original name, the Rae Gordon Band, the new CD, Better Than I Was, does exactly what they set out to do. This is an over-the-top release that not only presents all of the musicians to shine brightly, it excels at bringing out the voice of Rae right in front where it belongs. The disc is a great collaboration behind the songwriting abilities of Rae Gordon and keyboardist Pat McDougall, whose hand was involved in all but one song on the disc, that being the outstanding cover of Otis Redding’s “Dreams To Remember.” What can be said of this band? The guitar mastery of Kivett Bednar is incredible, especially on his solo on “Holding Back The Tears.” McDougall’s tasty organ licks are heard throughout, with “I Don’t Believe You” standing out big time. The rhythm of drummer Ed Pierce and bassist Al Hooten keep it all together, while the horns of Allan Kalik on trumpet and Scott Franklin on sax bring an extra lively feeling behind it all. You cannot simply point out one song to show off the band members’ talents, it comes through with each and every song presented. But then again, it all comes back to Rae. That voice is in command. For example, listening to “Dreams To Remember” can bring you to tears (as I am sure it did to many in the crowd in Memphis at IBC, it just has that overall reaction) with the shear power behind her presentation. This is a song that nobody other than Otis Redding or Gregg Allman should ever be singing, but behind Rae this song is being hand-held tenderly and delivered in a fashion that easily rates beside the two masters. She has captured its mood perfectly and it is best that it closes out this magnificent album. Rae Gordon may be better than she was, but if she gets any better we’re going to start seeing her less in town because the demand elsewhere is going to soar. This is one of the best recordings in blues regionally this year and it all comes down to the talent of the band and that omnipresent voice that Rae Gordon possesses. Amazing is too slight a term to describe what Better Than I Was delivers here. This is far beyond amazing!